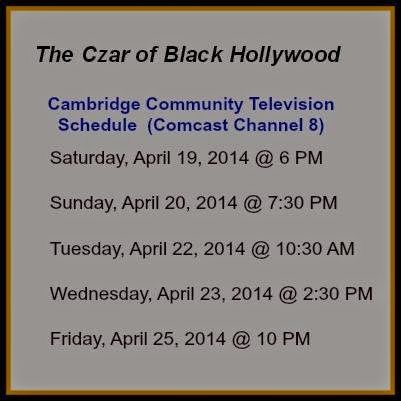 Bayer Mack's film "The Czar of Black Hollywood" will premiere on Comcast Channel 8 in Cambridge, MA, see below schedule. The 2014 Equality Index is a yardstick used to measure how well African Americans are doing relative to Whites. In computing the Equality Index, 30 percent of the final score is based on economics, while health and education each gets 25 percent and social justice and civic engagement each receives 10 percent on a 100 percent scale. “That means rather than having a whole pie (100 percent), which would mean full equality with Whites in 2014, African Americans [with an index of 71.2 percent] are missing about 29 percent of the pie,” the authors said, explaining the Equality Index. The Equality Index has declined from 73 percent in 2006, to 72.1 percent in 2010 to 71.2 percent in 2014. However, authors caution that the overall figure might reflect progress in some areas and retrenchment in others. Relative to last year’s Black Equality Index: the civic engagement index improved from 99.9 percent to 104.7 percent; economics dipped from 56.3 percent to 55.5 percent; social justice declined from 56.9 percent to 56.8 percent; and health (76.8 percent) and education (76.8 percent) remained unchanged. The report also found: Black median household income ($33,764) is about 60 percent of Whites ($56,565), down from 62 percent before the recession; and 28.1 percent of Blacks live in poverty vs. 11 percent of Whites. Unlike African Americans, Hispanics saw their Equality Index with Whites increase slightly, from 74.6 percent in 2013 to 75.8 percent in 2014, which was 4.6 percent higher than African Americans. Shapiro wrote, “In gross terms, the difference in median wealth between America’s white and African American households has grown stunningly large. According to Shapiro, home ownership accounts for 27 percent of the growth in the racial wealth gap. He said reasons home equity rises dramatically faster for Whites include: White families buy homes and start acquiring equity eight years earlier than Black families because they are more likely to receive family assistance or an inheritance for down payments; a larger up-front payment by White homeowners lower interest rates; residential segregation places an artificial ceiling on home equity in non-White neighborhoods; and the home ownership rate for White families is 28 percent higher than rates for Blacks. And things are even worse for African Americans. (CNN) -- I can't remember exactly when I began reading Ebony. I've been flipping -- now scrolling -- its pages as long as I can remember. Like family, it's just always been there and helped form my perspective. 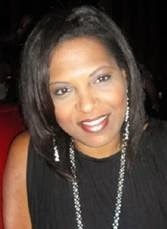 That's why it was so troubling for me when a senior editor of the esteemed magazine, Jamilah Lemieux, recently went on a Twitter tirade against black Republicans, failing to uphold the standards that I'd come to expect from Ebony. "I care about NOTHING you have to say," she wrote while disparaging conservatives and Republicans in general. This was not the Ebony I'd grown up with, I thought, the Ebony I'd worked with, that encouraged political discourse and diversity of opinion. To my relief, the next day, Ebony issued an apology for its editor's actions after receiving a letter from Republican National Committee Chairman Reince Priebus. "EBONY strongly believes in the marketplace of ideas," the editors wrote in their response. And we all should. Any good publication allows for diversity of thought. Any good journalist should be able to listen to all sides of an issue. She should not resort to the virtual equivalent of putting her fingers in her ears. As a conservative black woman, I understand I'm in the minority of a minority. But I challenge all of those who disagree with me to listen to what my party has to say. Are your opinions based on hasty assumptions? Or were they formed after reasoned debate? We don't have to agree on every issue. We shouldn't. But we can't claim to be informed citizens if we refuse even to hear another perspective. And it's never been more important for us to be informed than at a time when our political clout as black Americans, especially black women, is growing. In last year's gubernatorial race in Virginia, where I live, black women turned out to vote at a rate higher than other demographic groups, according to exit polls, just as we did in the past two presidential elections. It's in our interest to understand the full spectrum of political ideas. Most black Americans only need to ask a parent or grandparent to hear stories of when the opinions, views and voices of blacks were silenced, not because of what they said but because of who we are. Some of us have experienced that bigotry firsthand. How can any one of us, then, be so quick to refuse to listen to others? If you take the time to listen, you might be surprised at what you hear. Ask a Republican about education policy, and you might learn that she is fighting to ensure school choice is the right of parents to choose the school that's right for their kids, regardless of their ZIP code. Yes, Republicans agree with the majority of black parents. If a black female entrepreneur asked a conservative about economic policy, she might learn that Republicans at every level of government are fighting to streamline regulations so that she can grow her business faster, hire more workers and keep more of what she earns. Yes, Republicans are fighting for her, too. 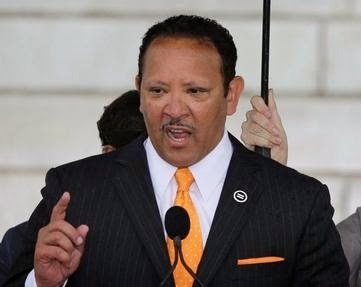 If the young black millennial who's looking for work asked a Republican congressman what he'd done for him lately, he'd hear about the 40 jobs bills that the Republican-led House of Representatives has passed but the Democrat-run Senate has refused to consider. Yes, you might be surprised. In the course of my career, I've worked as a journalist and held editorial management positions at a number of media outlets. Objectivity and balanced coverage were demanded; personal views could not and did not interfere with a reporter's duty to tell the full story. That's because journalism and political discourse must make room for a diversity of opinions. The "marketplace of ideas" can sort out what's right, wrong, persuasive and not. And it won't be the same for every person. But for me and many others, conservative policy solutions offer more financial freedom, greater religious freedom and more economic opportunities. And if you can't understand why, well, that's all the more reason why we need to engage in meaningful political discussion. Tara Wall is senior strategist for media and engagement at the Republican National Committee and founder of the PTP Foundation for Media Arts. The opinions expressed in this commentary are solely those of the author.